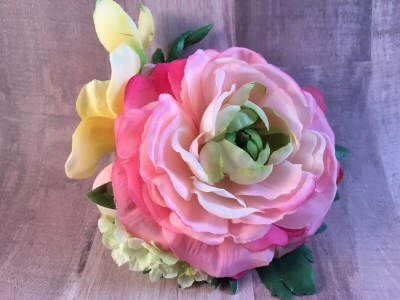 This lovely fascinator in spring hues is simply divine! 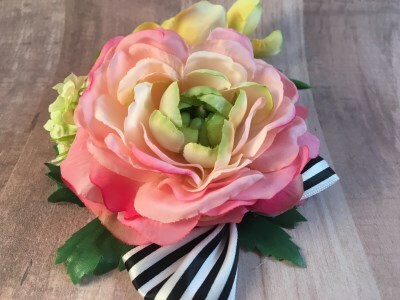 It features a pink ranunculus and bud, buttery yellow freesia, and a sprig of light green hydrangea. Available with or without the black and white bow. The back is flat, so it lays nicely against the head for easy wear. It's attached to our signature non-slip single prong clips.